BourbonBlog.com reviews Rums from the collection of Ron Brugal. Ron Brugal tell us that are the #1 selling Rum in the Caribbean and the top seller in the Dominican Republic. We recently attended the launch of Brugal 1888 at Tales of the Cocktail and interviewed Gustavo Ortega Zeller (5th generation Rum Master of the Brugal family), Marc Bromfeld, Director of Brugal Rum, Juan Campos Brand Development Manager. Watch our video with Brugal poolside below and read our reviews of Ron Brugal Blanco Especial R, Ron Brugal Añejo, Ron Brugal Extra Viejo and the new Brugal 1888. Aged: One year of aging in special casks then filtered to remove all color. Nose: Slight wood, coconut and floral. Taste:: Enters with a somewhat spicey bite and gives way to hints of coconut, lime, slight marzipan. Nose: Pleasant vanilla and hint of sugar cane. Finish: Nice clean finish with one last touch of a peppery spice to end things off. This rum provides enough heat even at 80 proof to stand up to cocktails. Aged: a blend of rums aged 5 to 15 years. Double-distilled and double-aged (first in American oak barrels followed by Spanish sherry casks. These are the same sherry casks that would aged for The Macallan Scotch Whisky. Nose: Prevalence of vanilla with a spice and sweet that battle each other but leave a rounded aroma. Ginger bread, dried apricots and hints of chocolate. Taste:: Smooth and creamy with a light smokiness. Flavors of cinnamon, caramel, and chocolate. Pleasant with some elements of a fine Scotch combined with toasty, nutty notes. 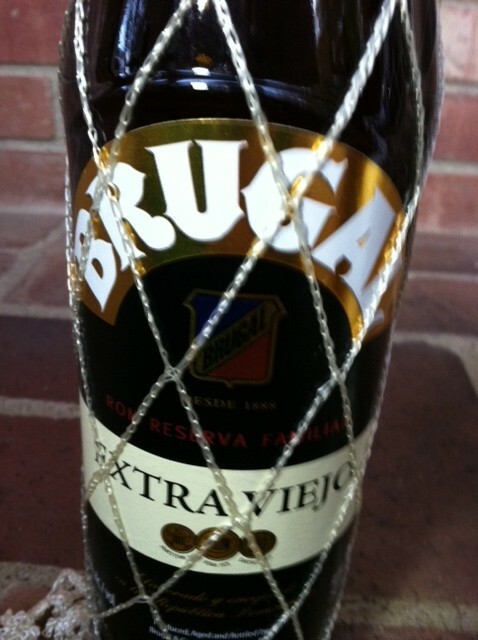 This is a real adventure in flavor for any Rum enthusiast like we’ve never tasted at BourbonBlog.com. Finish: Lingering, sweet, with some oak and smokiness.